Arakan Rohingya Union, a global Rohingya umbrella organization representing 61 Rohingya organizations worldwide, was formed under the patronage of the OIC Secretary General (38th OIC-Council of Foreign Ministers Conference Resolution No.4/37-MM) as a united Rohingya coordinated council to reclaim the rights of Rohingya people in their homeland. On July 31, 2017, three members of a Rohingya family were reportedly murdered by a Buddhist Rakhine militia group while they were working on their family farm in Rathedaung township in Northern Arakan/Rakhine state. As a result, tension between Rohingya and Buddhist Rakhine villagers rose; however, a clash was averted following the intervention by village authorities. 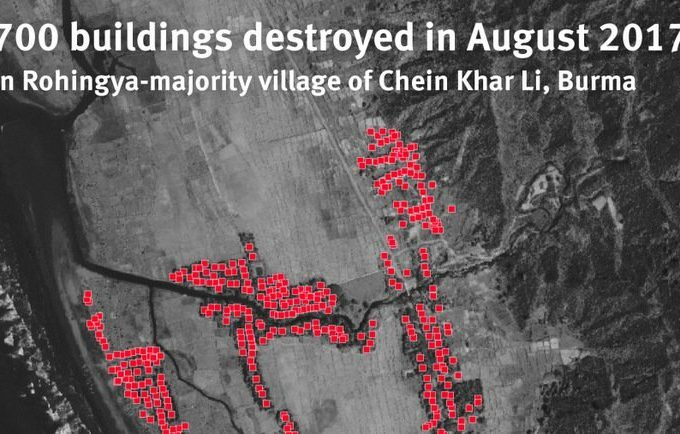 On August 2, 2017, the Myanmar police reportedly cordoned off that particular Rohingya village, and a Buddhist Rakhine militia group moved in and assaulted Rohingya families and torched a number of homes. Since then the situation has escalated in the Northern Rakhine state that has led to arrests, torture, and execution of Rohingya civilians by the Myanmar police and Buddhist Rakhine militia. During that period, witnesses have seen arrivals of large contingents of Myanmar army in Maungdaw, Buthidaung, and Rathedaung Townships. Relocation of Buddhist Rakhine villagers from the outlying areas to the Buddhist monasteries and government school buildings has also been reported. On August 24, 2017, a Rohingya insurgent group, known as Arakan Rohingya Salvation Army (ARSA), reportedly launched an attack on Myanmar police outposts in Maungdaw Township. On August 25, 2017, Myanmar armed forces (combined army, township police, and border guard police) began assaulting Rohingya villages in Maungdaw. Subsequently, the armed forces have expanded its operation to Buthidaung, and Rathedaung Townships. The Myanmar armed forces have reportedly killed hundreds of Rohingya families by indiscriminately shelling the residential areas in the villages using heavy artillery. Beheading, decapitation and summary executions of Rohingya has also been reported. On August 28, 2017, the entire Ward No. 5 (Rohingya sector) with 437 homes in Maungdaw town, all the 55 Rohingya homes in Ward No. 3 (mixed Rohingya and Buddhist Rakhine sector), and a number of Rohingya villages including Bakaguna, Thiho Kyun, Nwayong Daung, Kwaisarabil, Kyiganbyin, Myothugyi, Dongsay, Chauk Shoung have been reduced to ashes. Destruction of homes and atrocities against Rohingya civilians in Buthidaung and Rathedaung townships have spiraled following the attacks in Maungdaw. Sexual violence against Rohingya women was reportedly widespread during the raids of Rohingya homes by the Myanmar armed forces and the Buddhist Rakhine militia. Since the major assault on Rohingya civilian population on August 28, 2017, Myanmar armed forces and Buddhist Rakhine militia have continued to torch Rohingya homes in Maungdaw North on daily basis, and later expanded to the South. Assaults on Rohingya homes in Burthidaung and Rathedaung Townships have been stepped up in recent days. An estimated tens of thousands of Rohingya villagers have been reportedly taking shelter in the hills and forests as they are headed towards the Bangladesh border at a 16 miles distance. All the 6 villages in Rathedaung Township has been completely burnt down, and the entire Rohingya population of an estimated 9,000 from the 6 villages is currently taking shelter in part of Maungdaw South that have not been torched. A total of 11 Rohingya villages in Buthidaung North have been completely burnt down, and the remaining 46 villages in the area have been deserted. Over 80,000 Rohingya have fled Buthidaung North, and most of them have reportedly made it to Bangladesh after crossing the Mayu range and the Naf River. There is no cessation of assaults by the Myanmar armed forces in Maungdaw and Buthidaung Townships as of September 14, 2017. Several villages that have not been assaulted are empty as the villagers have fled to safety across the border or remained in the hills and forests. Buddhist Rakhine militia have been roaming in and around the villages and torching homes. Frequent outbreaks of fire in the deserted villages have been seen from the distance from Bangladesh side, according to sources in Bangladesh. The Government of Myanmar is also engaged in extensive misinformation campaign. Fake news, fabricated testimony, doctored video clips, and photoshopped images have been produced and widely distributed by the Government of Myanmar . 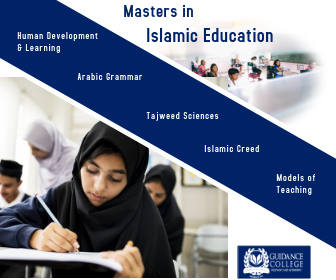 This was done for further incitement of sectarian violence and conducting a campaign to undermine or overshadow the authentic news reports, images, and video clips. Further, Myanmar Government have organized individuals from Hindu community with physical resemblance to Rohingya for staging arson to manufacture false evidence for its claim that Rohingya are torching their own homes. Protection of the civilian population is the obligation of the Government of Myanmar according to the international law and treaties. To the contrary, Myanmar Government forces have targeted the vulnerable Rohingya civilian population and committed crimes against humanity in numerous Rohingya villages in Northern Rakhine state. Indiscriminate killing of Rohingya civilian population, decapitation, torching entire Rohingya villages, and intimidating and forcing the population out is the text book examples of ethnic cleansing. 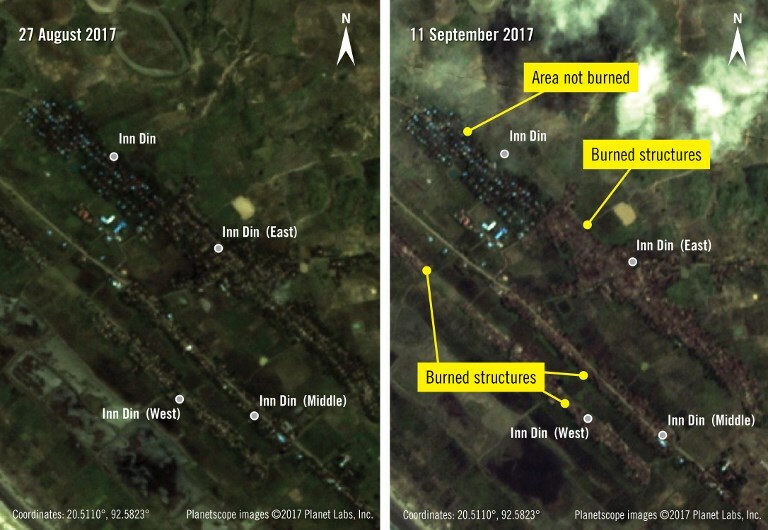 These satellite images courtesy of http://www.planet.com, with analysis and annotations by Amnesty International, show the area of Inn Din (Aan Daang), Myanmar, on August 27, 2017, (L) and on September 11, 2017, (R). Permanently stop the military assault on Rohingya civilian population. Immediately allow the safe return of the displaced Rohingya population to their homes in Maungdaw, Buthidaung, and Rathedaung Townships. Take immediate step to implement the recommendations of the Kofi Annan Commission. Comply with the international law and treaties and provide full protection to Rohingya civilian population. Obey the rule of law and abandon the practice of targeting the civilian population in combat or non-combat situation. Allow all the international NGOs and the media to immediately return to Maungdaw, Buthidaung, Rathedaung and other townships, and provide them unhindered access to all the affected areas. Permanently cease the organizing, arming, and training the extremists Rakhine militia. Stop the misinformation campaign and the release of incendiary statements by the Myanmar government authorities. 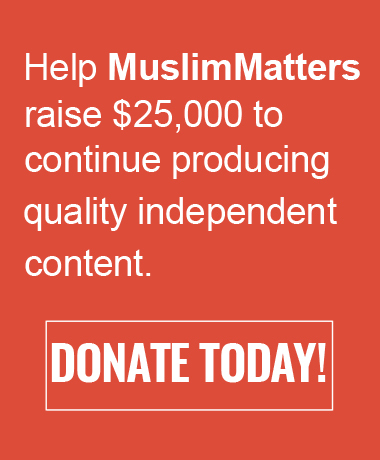 Investigate the allegations that police and local officials are using individuals from other religious minority groups, particularly the Hindu community, with similar physical appearance to Rohingya for manufacturing false evidence of arson by alleging Rohingya torching their own homes, and bring the responsible individuals to justice. Launch an investigation to the alleged crimes against humanity in Northern Rakhine state under the auspice of a neutral international body. Exert pressure on the Government Myanmar to immediately give the international relief groups and the media unfettered access to all affected area in Northern Rakhine state. Form a coalition of nations and pressure the United Nations Security Council to pass resolution to designate a safe zone for all people in Northern Rakhine state protected by multinational security forces. Exert pressure on the Government Myanmar to immediately give the UN fact-finding mission access to Northern Rakhine state. Exert pressure on the Government of Myanmar to permanently stop hostility towards Rohingya ethnic minority and amend or dismantle the Military’s 1982 Citizenship Law. Call on the European Union, OIC, United States, Canada, and other countries to support resolutions at the United Nations Security Council, General Assembly, and Human Rights Council on reinstating basic rights of Rohingya ethnic minority by the Government of Myanmar. Call on the United States House and Senate to conduct hearings and introduce resolution on protection of Rohingya civilian population in Northern Rakhine state. Reinstate the sanctions on the Government of Myanmar for violating the international law and treaties for protection of civilian population in conflict zones.